Bass traps with an exclusive design, 300 x 300 x 600mm tiles. Boxes of 2, 4 or 8 units, to cover up to 4 corners. ZHFR acoustic foam, charcoal grey or garnet, self-extinguishing, E-d0 (EN 13501-1). 2 uts. 4 uts. 8 uts. 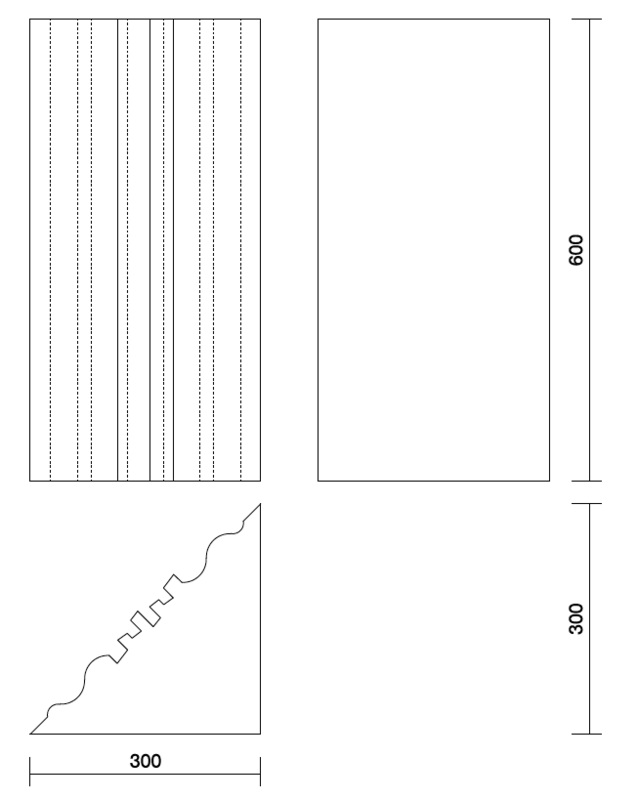 The HAVSVÅG BT bass traps (low frequency acoustic absorbers) are specially designed to be mounted in the corners of rooms, where the maximum sound pressure in the entire frequency range is produced. They are easy to install, inexpensive and extremely effective in reducing the low-frequency effects of the room resonant modes, commonly associated with the 'boomy effect' (low-frequency accumulation) that is often heard in untreated rooms. They are made with our high performance ZHFR acoustic foam which has excellent sound absorption levels in a wide range of frequencies (broadband absorption). Their unique appearance is the perfect complement for accompanying acoustic treatments with the HAVSVÅG panels. Specific treatment for controlling and reducing reverberation at low frequency in musical studios and minimising acoustic anomalies in rooms (boomy effect). They are a basic part of acoustic kits, and when used in combination with the absorption panels, they create a complete, balanced acoustic set for room treatments. The following table gives a rough guide of the estimated reverberation time (at 250Hz) depending on the size of the room and the number of bass traps installed.